We have had a fun kick-off to our Labor Day weekend. For one... it's the start of college football. If you know anything about me, you know that I love Jesus, and I love football. 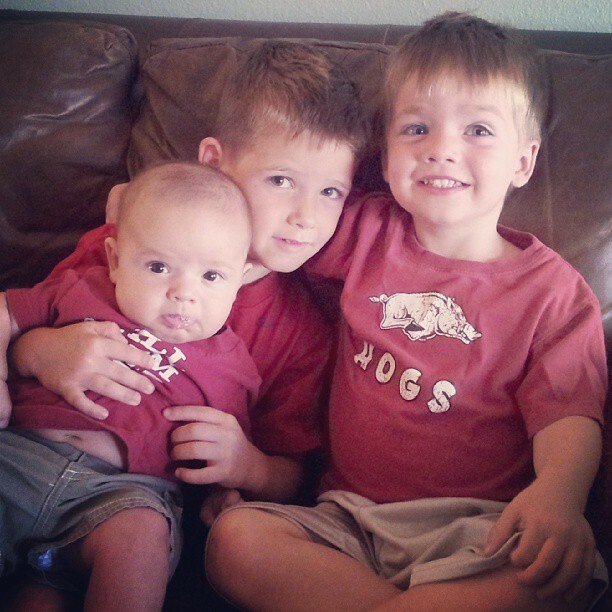 My boys are following suit... we have sung the Razorback fight song at least 291838 times this week. In the car, at the house, in the backyard. We start 'em young, and raise 'em right around here folks. my 3 sweet future Razorbacks. Tyler is SUCH a trooper. 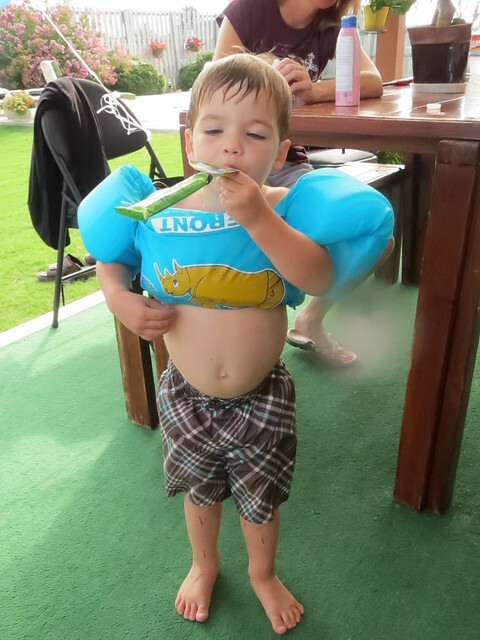 Life jackets are not made for comfort, andit's a bit clear right here. 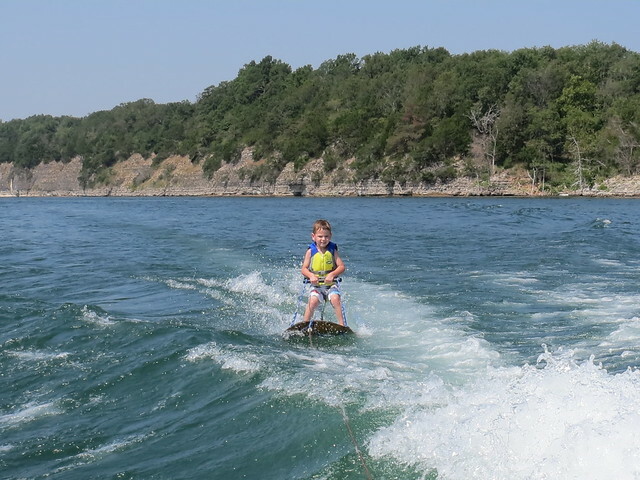 The only time he cried was when he got whopped in the head by the ski rope. Sweet boy! Connor cracks me up. 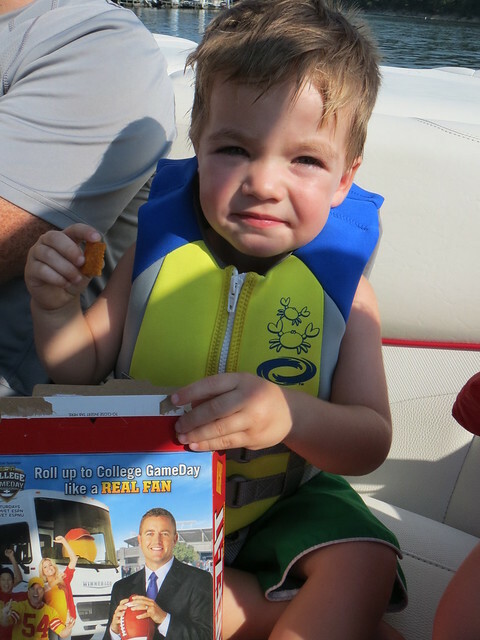 He equates boats and the lake to eating non-stop. 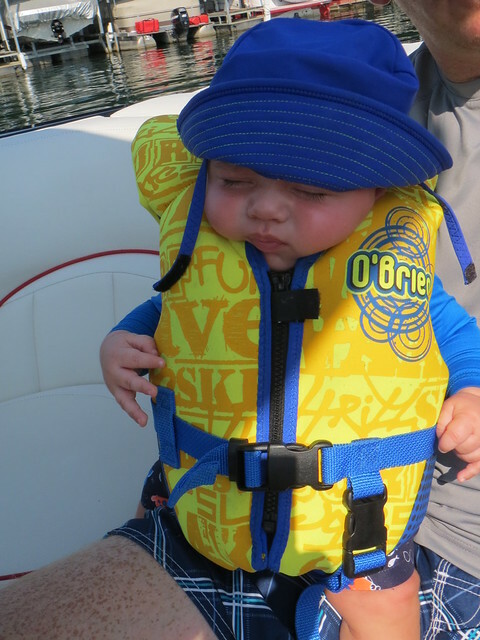 He literally asked for a snack the minute his big toe touched the boat and didn't quit till we left the water. Lord help our pocket books when these boys are teenagers! This is how we roll. 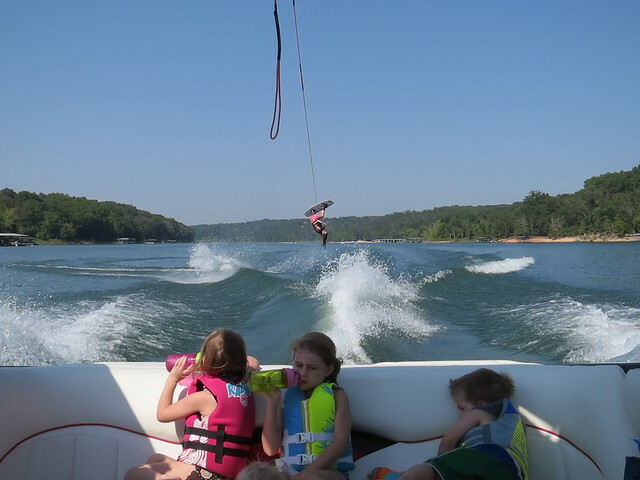 Kids stacked up in the back and my best friend Katie doing flips on the wake board. Chris and Katie had a ski board for the kids to use this weekend. 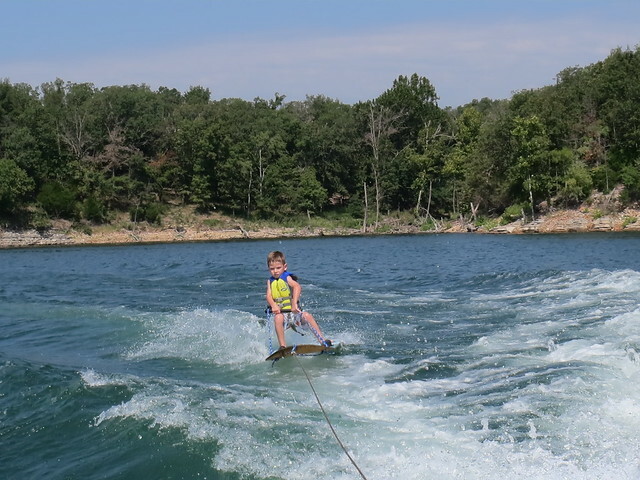 Brayden was a little confused (and sad) that it didn't look just like daddy's wakeboard, but after a little lesson from Katie and Paige, Brayden tried it and got up. He loved it and was SO proud. As if the lake wasn't enough for one day, we snuck in a little birthday pool party action in the afternoon. My boys literally were in the water the entire day! this is the only picture I took at the birthday party. I was way too tired to chase the bigs around trying to get forced smiles. We're all a little pooped tonight, and I am crossing my fingers that my boys all sleep in a little bit in the morning. Hope everyone is able to have fun celebrating Labor Day! A Five on Friday and Insta-Friday Mashup. A Weekend of This and That. A Weekend in the Water.